Are your pencil portraits starting to look lifeless? All aspiring artists would love to have their portraits looking realistic and striking but how to get them to that point can be a tough journey. You don’t need to be a professional artist to be able to draw how you have envisioned. All you need is the right equipment and the right techniques in being able to bring life to your pencil portraits. You can learn in the comfort of your own home when you have free time which makes this the easiest way to learn. “Adding Life To Your Pencil Portraits” is what you need to successfully learn to how to turn your dull drawings into something that is fresh, clean and lifelike. Forget the boring old one dimensional drawing that looks like a 12 year old drew it. We give you clear videos showing you step-by-step bring your pencil portraits to life. Check out what is included inside “Adding Life To Your Pencil Portraits”…. 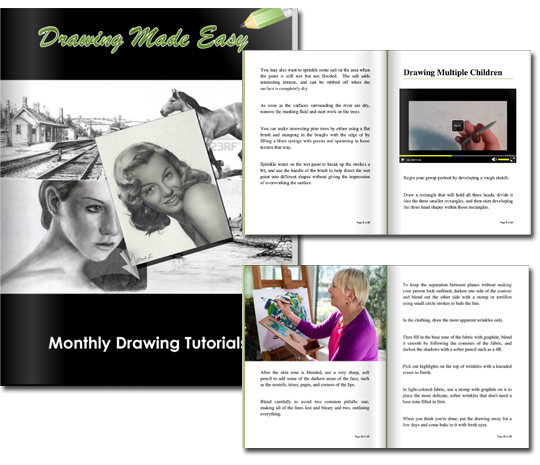 Each month you’ll receive two brand new drawing tutorials send straight to your email.Drawings range from portraits to landscapes, animals to seascape scenes and more. Another fantastic course I’ve bought from you that I can apply to my current portrait drawings. Puts any aspiring artist on the right track! Very informative and educational. I learn’t a lot about how to make my portraits seem more realistic and life-like. Excellent teacher by the way. We also provide you with the online version (in case you have troubles downloading or the files are too big) so you can view it online on ANY device and / or take it with you when you travel. This is the course you need as we emphasize on how to keep portraits engaging and life-like. We even go the extra mile and show you what supplies you need and the basics of how to use them. 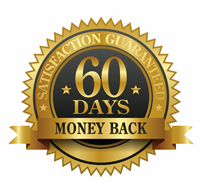 We got it all covered for you in easy to follow step-by-step instructions. The product is an online video tutorial on how to improve your portraits. It consists of written instructions, step by step video clips and reference images taught by our professional artist.